Jennifer Taylor Moore is Curator of Collections at the Sarjeant Gallery in Whanganui, New Zealand. She recently managed a 21 month project to inventory, pack and relocate the entire Sarjeant collection, comprising of over 8,300 items, to allow for redevelopment and earthquake strengthening of the Gallery's earthquake prone Category I listed heritage building. 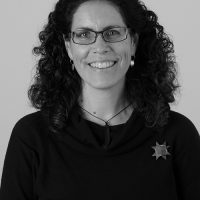 After completing a BA in Art History from Canterbury University and a Post-Graduate Diploma in Museum Studies from Massey University Jennifer has worked in collection management in a variety of roles, including as registrar of the art collection and touring exhibitions at Te Manawa, Palmerston North, NZ. She then spent 8 years in the UK working as a Consultant for Vernon Systems Ltd throughout the UK, EU and North America doing training, support, and consultancy. During this time she gave several presentations at the Museums & Heritage Show in London and attended trade shows and conferences throughout the UK and North America, representing Vernon Systems. Once back in NZ Jennifer returned to her home town to take up a position at the Sarjeant Gallery. As part of the fundraising efforts for the building redevelopment she has given public presentations about the collection, the relocation project and the redevelopment project to numerous community groups and stakeholders. She recently completed the Diploma in Law & Collection Management through the Institute of Art & Law, UK.